Although it’s long been known that wounds heal more slowly in older patients, researchers have never been sure exactly why that’s the case. Now, they have found out. Recent experiments at The Rockefeller University explored this physiological puzzle by examining molecular changes in aging mouse skin. The results, described in the journal Cell, reveal a new aspect of how the body heals wounds. “Within days of an injury, skin cells migrate in and close the wound, a process that requires coordination with nearby immune cells. Our experiments have shown that, with aging, disruptions to communication between skin cells and their immune cells slow down this step,” says Elaine Fuchs, the Rebecca C. Lancefield Professor and head of the Robin Chemers Neustein Laboratory of Mammalian Cell Biology. “This discovery suggests new approaches to developing treatments that could speed healing among older people,” adds Fuchs, who is also a Howard Hughes Medical Institute investigator. 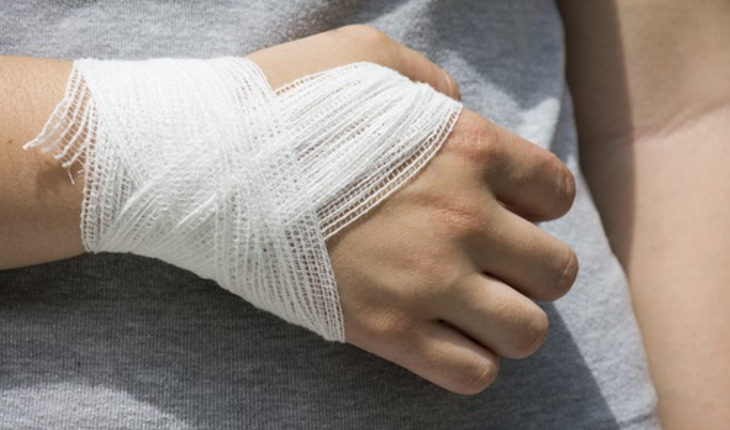 Whenever a wound occurs, the body needs to repair it quickly to restore its protective skin barrier. “Wound healing is one of the most complex processes to occur in the human body,” says Brice Keyes, a former postdoc in Fuch’s lab and currently a researcher at Calico Life Sciences. “Numerous types of cells, molecular pathways, and signaling systems go to work over timescales that vary from seconds to months. Changes related to aging have been observed in every step of this process.” Keyes and Siqi Liu, an immunology specialist and a current Jane Coffin Childs postdoctoral fellow in in the lab, are co-first authors of the Cell article. Both skin cells and immune cells contribute to this elaborate process, which begins with the formation of a scab. New skin cells known as keratinocytes later travel in as a sheet to fill in the wound under the scab. The team focused on this latter step in healing in two-month-old versus 24-month-old mice—roughly equivalent to 20- and 70-year-old humans. They found that among the older mice, keratinocytes were much slower to migrate into the skin gap under the scab, and, as a result, wounds often took days longer to close. Wound healing is known to require specialized immune cells that reside in the skin. The researchers’ new experiments showed that following an injury, the keratinocytes at the wound edge talk to these immune cells by producing proteins known as Skints that appear to tell the immune cells to stay around and assist in filling the gap. In older mice, the keratinocytes failed to produce these immune signals. To see if they could enhance Skint signaling in older skin, the researchers turned to a protein that resident immune cells normally release after injury. When they applied this protein to young and old mouse skin tissue in a petri dish, they saw an increase in keratinocyte migration, which was most pronounced in the older skin. In effect, the old keratinocytes behaved more youthfully. The scientists hope the same principle could be applied to developing treatments for age-related delays in healing.